Fall is upon us and Oh how gorgeous it is! And now that I've got my creative Halloween decor in place (which is getting tons of repins! Woot! 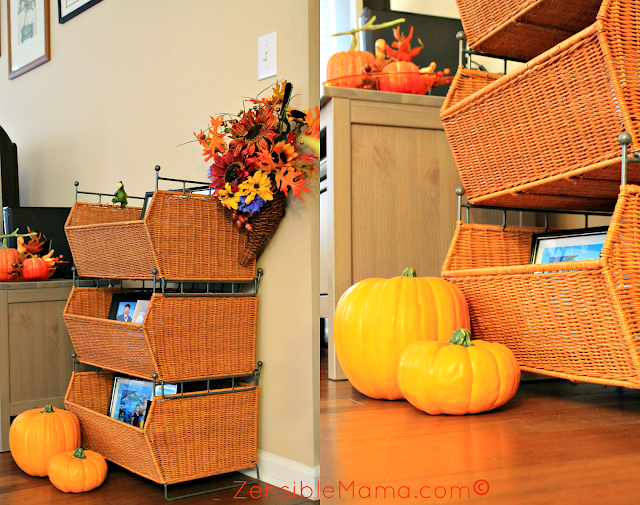 ), it's time to do some Fall decorating. I bet when you think of Fall the first thing that comes to your mind are the leaves of the trees changing into a kaleidoscope of gorgeous colors and Pumpkin Patches! Well, these are my immediate thoughts anyway and one I intended to replicate inside the comfort of my new home. My challenge is to create a Fall-inspired home decor that brings these two factors together in a simple, fun yet trendy decorations that are also very cost-effective! 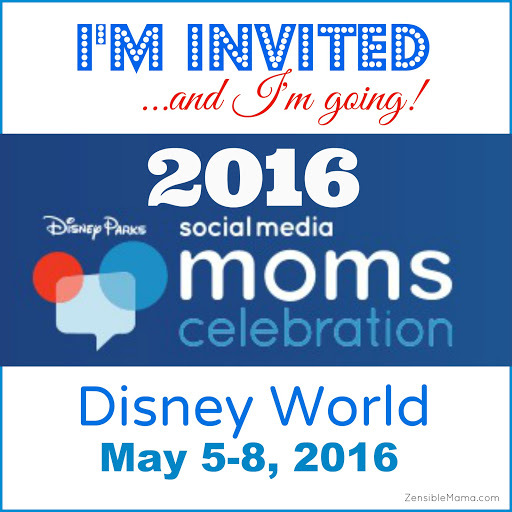 Check out my decor ideas and the inspirations that I used to create the theme. I filled the mantel with different types, designs, sizes and colors of Pumpkins and Gourds to achieve a contrasting effect. I love the ceramics that are highly decorative, glossy and very attractive. 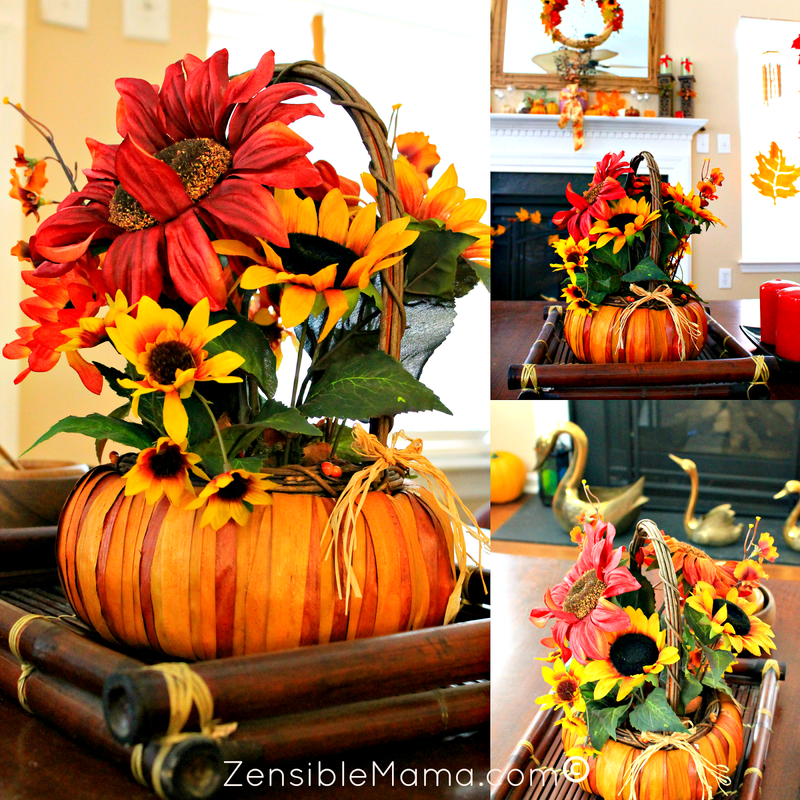 Created a coffee table centerpiece using a pumpkin-shaped basket and added my own flower arrangements. 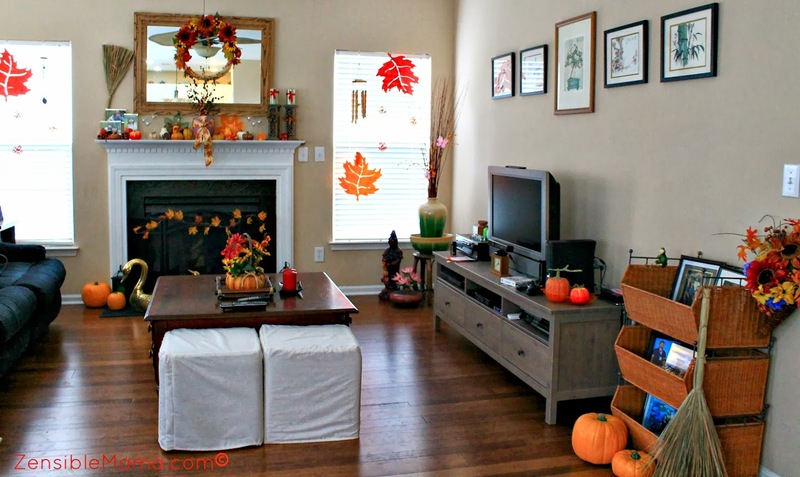 Placed large and medium-sized Pumpkins on different parts of the room. 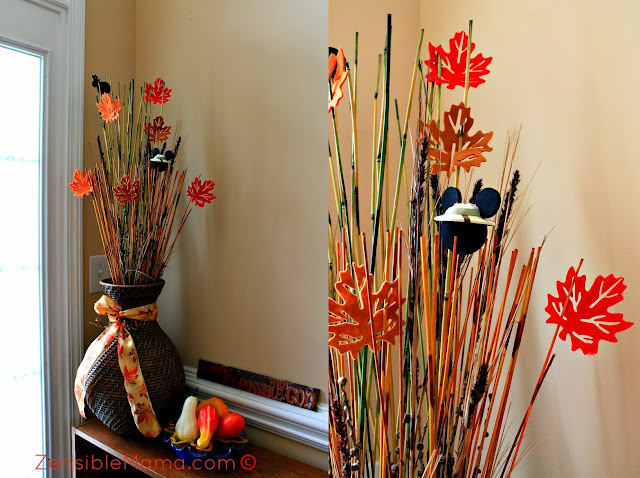 Placing big and small-sized Fall leafs and "cascaded" them on my window blinds. It works well since we currently don't have any drapes. These leafs are made of felt and hold their shapes pretty well. 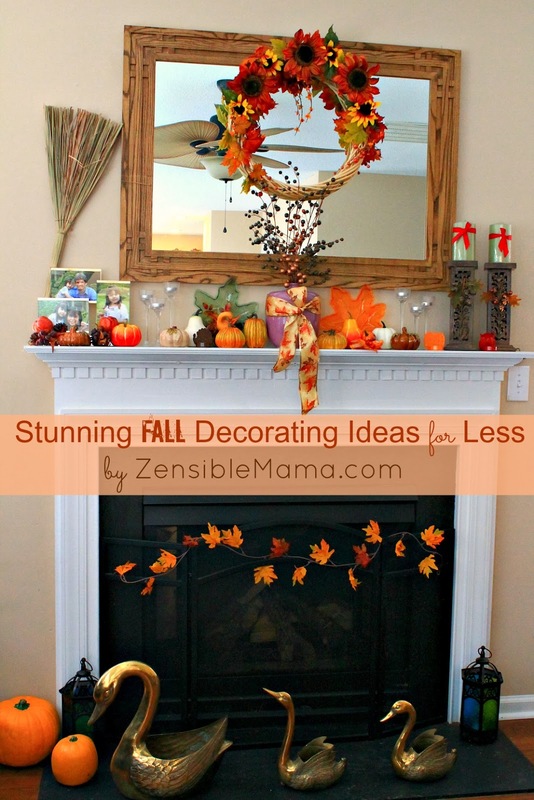 Draped a "vine" of Fall leafs on my fireplace screen to add more flair. 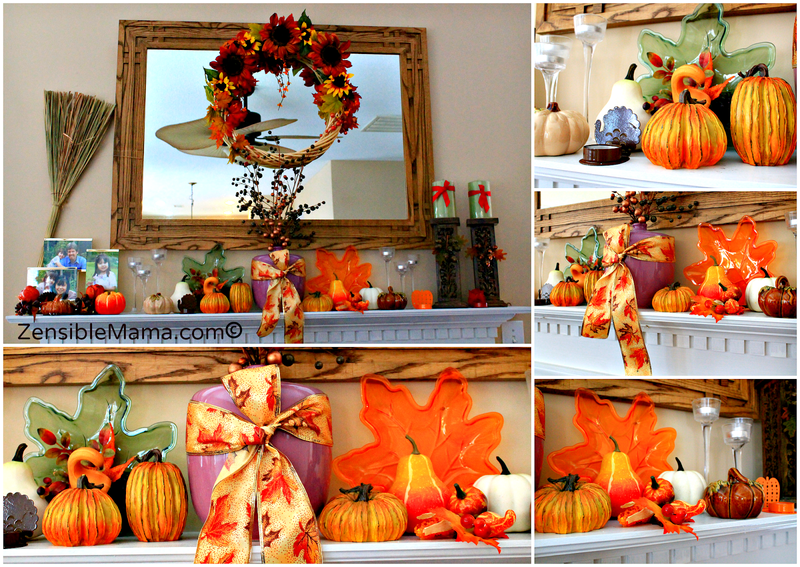 Accessorized the mantel with Fall leaf-shaped "trays" to highlight the effect. Placed little Fall leaf cut-outs on a vase by entry door and partnered it with a tray of gourds to give that welcoming warmth of Fall! See something hiding behind the reeds? 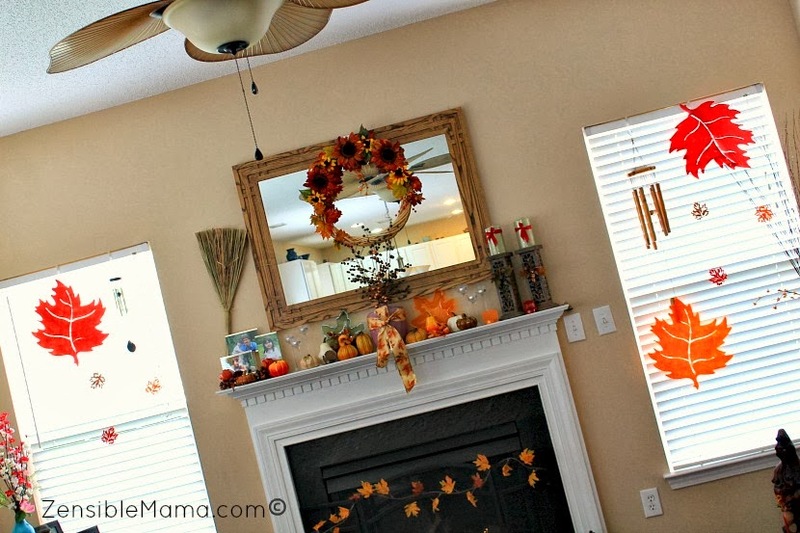 Most of the pumpkins and Fall leaf cutouts were purchased at the Dollar Store. You'd be surprised at what you'll find there. Quality of products are relatively good, you just have to do a little "hunting" to find the best ones. To create your own flower arrangements, you can pick up a "bunch" at Garden Ridge where you'll find affordable selections and mix and match. 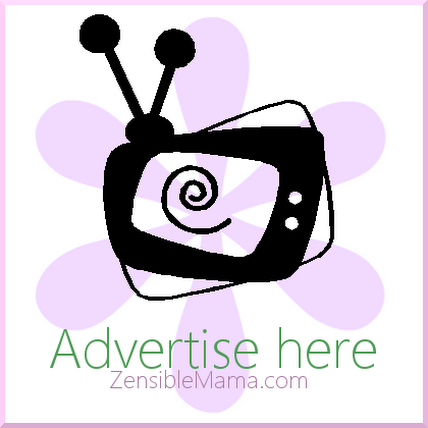 Also, to save some bucks on buying decorative Wreaths which can cost as much as $60 for a very simple design, why not create one? I did the one hanging on the mirror on my mantel. All you need is a glue gun, glue stick, a wreath frame, a bouquet of decorative flowers and tons of creativity! Let your inner designer show. And if you need any help with some of your decorating dilemmas, let me know and we'll see what I can do. In the meantime, happy decorating with these ones!